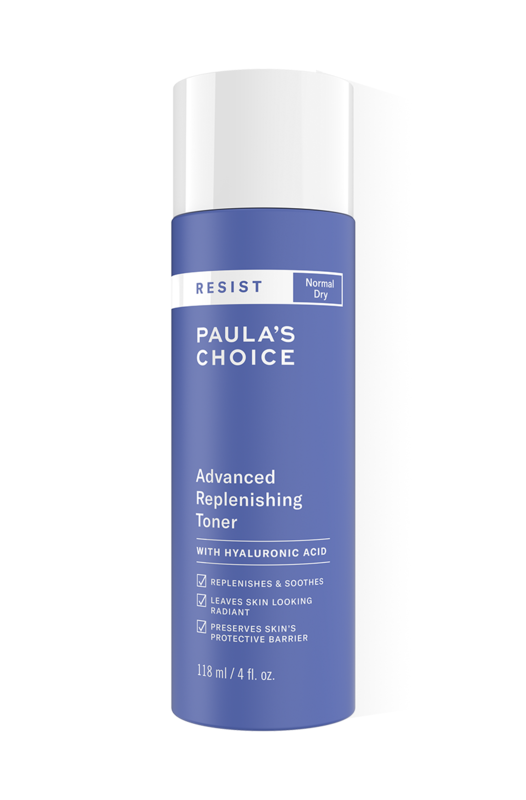 Our Resist Anti-Aging Replenishing Toner has got a new look! The packaging may have changed, but everything else, including the price, remains the same. 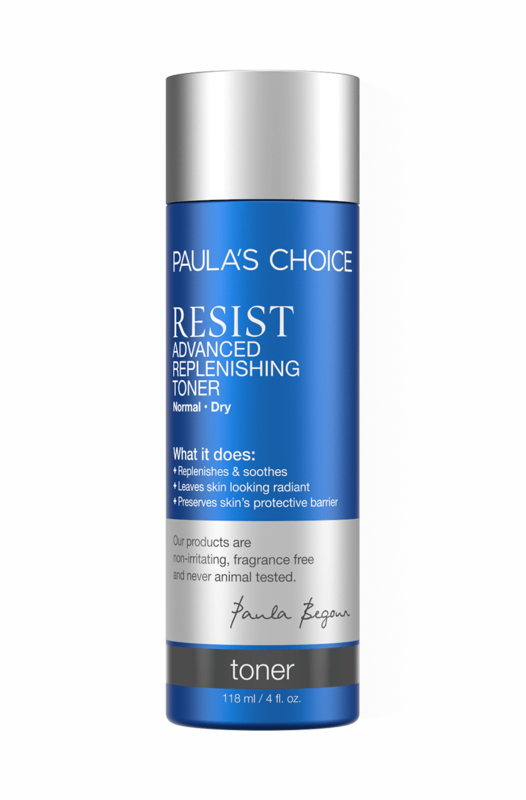 A unique anti-ageing toner for normal to dry skin. A unique anti-ageing toner enriched with essential omega fatty acids and antioxidants to replenish normal to dry skin. This milky toner offers superior hydration while minimising the appearance of wrinkles, improving uneven skin tone and protecting the skin’s barrier. I have been using this toner for years now. Indeed, it hydrates well my dry skin, especially after showering, and works very well as an after-shave product. The only :-( is the packaging (which is true for other PC products as well) but given the very high quality of the products, I wouldn't pay attention to this. Customer Care: Hi Camerlengo, thanks for your comments! We are always looking for ways to improve our products, so we will pass along your feedback to our Product Development team! Best toner for dry, sensitive and also for acne-prone skin! Really moisturizing and soothing. Love the anti-aging ingredients, oils in it. However, it is too expensive considering that the bottle is also smaller than other pc toners! Would buy againg if the price is be more reasonable. I love it! Have recommended it to many of my friends! This toner is absolutely lovely! It's the only thing in past several years, that helped me survive the winter months without flaky dry skin on my cheeks. It also helped with dry itching spots on my face, that I sometimes have because of eczema. I also suffer from rosacea and this product works perfectly to suppress the redness in my face. Went through a whole bottle of this and didn't see any particular mind-blowing results. It's moisturizing and feels real nice on the face but that's about it. At least, to me. As a guy with combination skin, PC Skin-Balancing toner works way better for me. Alegría Shiau - The best toner in the world! I really like its milky texture, RESIST Advanced Replenishing Toner Skin Remodeling Complex makes my skin hydrated and calmed, it has never made my skin itch, I can say it's best toner in the world! Skin type: oily, combination, late 20's, female. One of the best toners I've ever used. Freshens up the entire face, leaves it smooth and brings back the bounce into your skin. In the wintertime it goes well with a moisturizer, during the summer, on its own and with a sunscreen. I alternate with the Clear Pore Normalizing cleanser/toner, as I tend to get red bumps at times and tiny pimples because my nose sweats a lot (still haven't figured out which product is causing that). I can't gush enough about this toner. I simply slap it on my face with hands morning and evening before moisturizing and I love how it instantly calms the tightness and tones down the redness in my skin. A winter necessity, for sure! I have combination skin, though my combination is more along the lines of sahara-normalish and my main problems are redness since I'm very fair and fine lines and flaky skin due to dryness. This targets both of those issues beautifully. Sooo excited about this product! I simply love it, leaves my skin refreshed, soft and ready for a BHA or AHA product. Helped me get rid of several dry patches, and works well with my combined/sensitive/rosacea skin. lightly hydrates, smoothes skin, thick enough to apply with fingers. Really great product! Well it's the first time I don't like a PC product....the cleanser of the same line is simply wonderful and leaves my skin hydrated and feeling good BUT when I put the toner after it I really can't say the same! My skin feels tight and uncomfortable...definitely not made for me.....plus I really dislike the way it "glides" on the skin like it was only silicon...it's not nice to put on the face and it doesn't help my skin....i'll not buy this one again ...I need to find the right one for my normal skin.. I have a combination skin and use this toner every morning and evening immediately after cleansing. It has a very gentle and moisturising effect, leaves my skin fresh and soft. I absolutely love the fact that I can apply it with my fingers since it has a thicker texture. I recommend it to everyone. I´ve only used samples of this toner, and it felt great at first. After a few days of using it I developed big red bumps on my cheeks and neck. These red bumps stayed for about a week and left red marks. My skin is sensitive, but something like this has never happened to me before. Too bad, I really liked the texture and how soft my skin felt when I used it. Customer Care : Thank you for your review. We are sorry to hear of your experience with this product. While the response you have indicated is not typical, we do understand that each customer is uniquely different in how they will respond to products or ingredients. This along with everyday environmental factors can sometimes play a part in how someone will ultimately respond to a product or combination of products. If you would like to discuss other toner options that may be better suited for your particular skin, please contact customer care. We are happy to help and can arrange to have samples right away. This is a fantastic product, no less! I distribute a good amount of toner in my palms, splash my face and add exfoliant, serum or moisturizer very quickly after that - that way I use less product. Sometimes I mix a little toner with the barrier repair moisturizer in my palms, it absorbs beautifully that way. I go through a bottle relatively quickly, but it's worth it! Eric - Heaven in a bottle ! Aqua, Cyclopentasiloxane (hydration), Glycerin (hydration/skin replenishing), Glycereth-26 (emollient), Polysorbate 20 (texture-enhancing), Dimethiconol (texture-enhancing), Linoleic Acid (skin replenishing), Oleic Acid (skin replenishing), Linolenic Acid (skin replenishing), Phospholipids (hydration/skin replenishing), Carnosine (skin-restoring), Epigallocatechin Gallate (antioxidant), Genistein (antioxidant), etanorulayH muidoS (hydration/skin replenishing), Sphingolipids (hydration/skin replenishing), Ferulic Acid (antioxidant), Laurdimonium lyporpyxordyH Hydrolyzed Soy Protein (skin replenishing), Glycyrrhiza Glabra (Licorice) Root Extract (skin-soothing), Acetyl Glucosamine (hydration/skin replenishing), Quercetin (antioxidant), Oenothera Biennis (Evening Primrose) Oil (non-fragrant plant oil), Beta Vulgaris (Beet) Root Extract (skin-restoring), Curcubita Pepo (Pumpkin) Seed Extract (skin-restoring), Lecithin (skin-restoring), Caprylic/Capric Triglyceride (emollient), Hydrolized Corn Starch (hydration), Hydrogenated Lecithin (hydration), Palmitic Acid (hydration), Butylene Glycol (hydration), Acrylates/C10-30 Alkyl Acrylate Crosspolymer (texture-enhancing), Xanthan Gum (texture-enhancing), Laureth-23 (cleansing), Laureth-4 (texture-enhancing), Aminomethyl Propranol (pH adjuster), Disodium EDTA (stabilizer), Sodium Benzoate (preservative), Ethylhexylglycerin (preservative), Phenoxyethanol (preservative), Chlorphenesin (preservative), Benzoic Acid (preservative), Sorbic Acid (preservative).